In recent weeks I’ve had a whole lot of records show up in the mail or delivered electronically – way too many to write a few hundred words on. Many of them have been excellent (several of these I have listed on my Best of 2011 list), so I feel compelled to give a few of them a shout out and a brief description – perhaps just enough for you to want to check them out. 1. 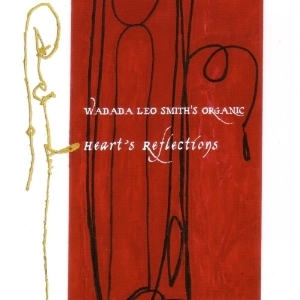 Wadada Leo Smith – Heart’s Reflections (Cuneiform) The latest from Smith’s Organics band is a two-disc set which listeners will identify as being influenced by Miles’ early-mid ’70s electric period. While Heart’s Reflections shares some characteristics with those Miles albums, and a bit of Don Cherry’s work as well, the album is a fresh and contemporary take on fusion. The set begins and ends with lengthy tracks: the 1st disc opens with the 20 minute “Don Cherry’s Electric Sonic Garden (for Don Cherry)”; the 2nd disc closes with the 22 1/2 minute “Leroy Jenkins’s Air Steps (for Leroy Jenkins). The rest of the disc is dominated by the 11 track Heart’s Reflections Suite. While the Miles and Cherry influence is obvious, this album departs greatly from its predecessors. In addition to Smith, the 14 piece band features two laptop musicians, two bassists, keys, violin, two saxophones and 4 electric guitars. Despite the large instrumentation and numerous instrumental doubles the group manages to keep the texture un-cluttered. Heart’s Reflections has many moments of quiet introspection, and it’s less frantic and manic than some of Miles’ avant-funk excursions. On the longer pieces the group stretches out, and takes its time, creating an almost atmospheric ambiance. That being said, there’s plenty of nasty funk, rock, and free jazz too (Parts 1 and 2 of “The Well” are dur-tee and free). The album might be too “out” for those whose ideal style of fusion is Steps Ahead, but if you’re into Miles’s Live-Evil, Cherry’s Brown Rice, Herbie’s Mwandishi records, James Blood Ulmer, etc., then you will probably dig Heart’s Reflections, a lot. 2. Craig Taborn – Avenging Angel (ECM) Craig Taborn is one of my favorite contemporary pianists/keyboardists going (just check out this blog’s tag cloud – he’s got one of the bigger fonts). Avenging Angel is Taborn’s first solo piano record and his first album under his own name for ECM. Fully improvised, the music is very organic in nature. Taborn has a firm touch, and often lets single notes ring. At times, especially on “This Voice Says So,” the music sounds similar to the solo piano compositions of Morton Feldman, except sped up significantly. Taborn often uses both hands to create contrapuntal lines, as on “Neverland,” while at other times he takes an almost pointillistic approach. Avenging Angel requires concentration and a somewhat adventurous spirit, but the payoff is worth it. 3. Konitz/Mehldau/Haden/Motian – Live at Birdland (ECM) Those folks who are familiar with the two albums on Blue Note that Lee Konitiz, Brad Mehldau and Charlie Haden put out in the ’90s will have a pretty good idea what this excellent live record sounds like. For this date the trio brought drummer Paul Motian into the fold, creating a lineup that probably cannot be topped in terms of talent or experience. The album consists of standards, such as “Lover Man,” which opens the record, “I Fall in Love to Easily,” and “Oleo.” As Konitz nerds know, he loves taking standards that have been played to death and seeing how much new material he can wring from them. These deconstructions, which Mehldau is extremely adept at as well, often break the tune down so far it’s hard to identify them. (It took a little bit on the first listen before I realized I was listening to “Lover Man.” It’s great fun to go back and start to hear where the group hints at or briefly quotes the tune where you’ve never heard it before; this is one of the album’s most compelling traits, as there’s so much to unlock). Paul Motian seems to be a divisive figure: either you can’t stand him or you think he’s a genius. If you’re in the former category you might not enjoy this album, as his presence is strongly felt no matter who he plays with. As someone who lives in Kansas I don’t get to see too many acts, so those of us who don’t live in NYC (Motian won’t even play a gig in Brooklyn these days) are fortunate that ECM has released this fine album. 4. Matana Roberts – Coin Coin (Constellation) Matana Roberts is a young alto saxophonist and composer who deserves much more recognition. Hopefully Coin Coin Chapter One: Gens de Couleur Libres will raise her status. The album is a live performance from July 2010 at the Hotel2Tango studio in Montreal. Featuring 16 musicians, the recording is the first installment of a multi-chapter project that deals with the experience of Africans in America. It incorporates elements from Roberts’ genealogical work on her family roots, and involves spoken word, singing, chance, and Roberts’ powerful alto playing, which comes from, in part, from Albert Ayler. This is a powerful recording, primarily because the subject matter deals with slavery (just the title of the closing tune “How Much Would You Cost” is chilling). But it is also a beautiful recording. And for those LP nerds out there, Constellation has released it in a 2×10″ format and comes with a CD and poster. Coin Coin is for the brave and will probably appeal most to those with solid avant-garde tastes. It’s also perfect for a cultural studies scholar to dive right into. 5. Deep Blue Organ Trio – Wonderful! (Origin) On their latest release the Deep Blue Organ Trio (Bobby Broom, guitar; Chris Foreman, B3; Greg Rockingham, drums) runs through nine Stevie Wonder tunes. The trio jumps right out of the gates with the infectious “Tell Me Something Good,” which has an understated funk backbeat feel. The group stays true to the originals, so much so that I was singing along to “As,” which is not only one of my favorite Wonder songs, but one of my favorite cuts on the album as well. Foreman and Broom split up the melody, with Broom using the last part of the tune as a jumping off point for his brief solo. When I saw this was a set dedicated to Stevie Wonder I was a bit worried, as I’ve heard some other groups attempt to cover Wonder with terribly schlocky results. But my fears were unjustified, as Wonderful! is tastefully done, well executed, and an enjoyable listen. Do Critics Need to Be Able to Play Jazz? No, but it Helps.